WASHINGTON: In October 2018, the U.S. Air Force announced that it would award the Launch Service Agreement (LSA) to Blue Origin, Northrop Grumman and United Launch Alliance. The purpose of the USA program is to leverage the commercial development of launch vehicles to support national security missions. Elong Musk and his company, SpaceX, are determined to play a major role in this enterprise. An examination of Musk’s record makes him and his company a very questionable partner in such an undertaking. SpaceX, which was denied a contract in the project’s first phase, is now standing in the way of progress by fighting the Air Force’s decision. Immediately upon hearing that SpaceX would not be developing rockets for the Air Force’s various national security payloads, the company wasted no time marshaling opposition against the LSA. But despite SpaceX’s lobbying efforts against it, the Launch Service Agreement is moving forward. The second phase of the LSA—which will consist of 40 missions from 2020 to 2024—is crucial to America’s national security. But if SpaceX had its way, the entire selection process would become ensconced in political bickering. Including SpaceX will water down the LSA. Despite the company’s clear deficiencies. 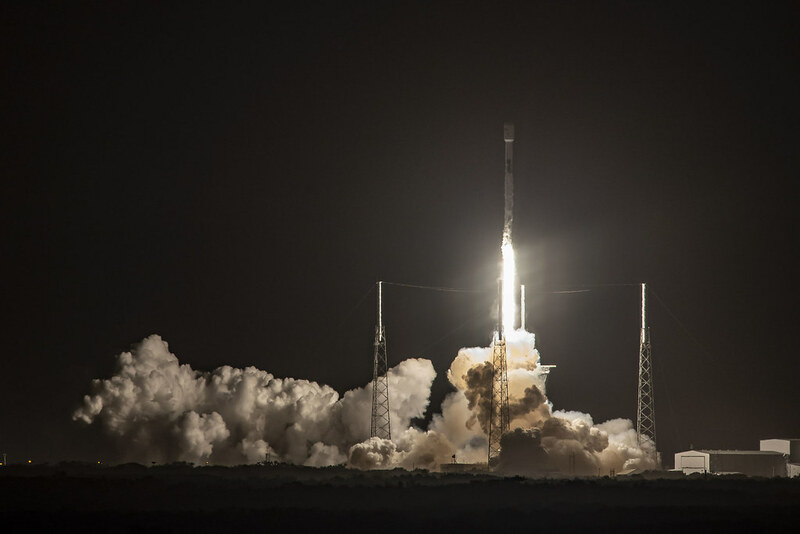 Regardless of SpaceX’s endeavors to tilt the political system in its favor, the Air Force must hold fast to its initial selections. On principle, the process of awarding LSA contracts should be by insider persuasion or political maneuvering. And in the case of Musk and SpaceX, this is especially true, since the company’s track record as a government contractor is dubious at best. Elon Musk’s unusual behavior has, over the years, attracted much attention. With over 22 million followers on Twitter, he made headlines in July 2018 by calling British cave explorer named Vernon Unsworth “pedo-guy” as Unsworth was involved in the rescue of 12 boys and their soccer coach from an underwater cave in Thailand. Musk offered to build a kid-sized submarine which Unsworth said “had absolutely no chance of working.” After the heroic rescue, Musk finally apologized. ”[p]erhaps the most prominent case of cronyism in modern times is Elon Musk.” She notes that while none of his enterprises “is profitable on its own, Musk is making a mint.” And it is American taxpayers who are paying the bills. Ultimately, the Air Force doesn’t need to tolerate lobbying pressure or cronyism. The decision to exclude SpaceX from Phase 1 of the LSA is likely a reflection of that. SpaceX – a cheaper alternative? SpaceX’s selling point has been that it can sell cheaper rockets than its competitors, but a report from the space industry’s Inspector General found that SpaceX will soon have a staggering 50 percent price increase. It has over promised and under-produced. The Department of Defense Inspector General, and NASA’s Aerospace Safety Advisory Council, in reports in 2017 and 2018, described a list of security concerns they have with SpaceX—among them, 33 significant nonconformities. Given the importance of the LSA’s objectives, reliability is essential. And SpaceX’s seeming lack of dependability was undoubtedly a factor in the Air Force’s decision. SpaceX seems to stay in the news, and not for positive reasons. Which raises the question: why would the Air Force select a contract under investigation by both the Pentagon and NASA? The U.S. Air Force has awarded the contract to the three companies that best meet the exacting requirements involved. The exclusion of SpaceX and Elon Musk reflects that fact. Now, as the LSA moves into its critical Phase 2, the Air Force must remain unwavering in its decision-making. Despite SpaceX’s protests and its campaign to reverse this decision. The public seems to have been well served by the Air Force’s selection. Elon Musk and America’s long-term national security interests were always a questionable mix—and regarding the Launch Service Agreement, the two shouldn’t be mixed at all. All opinions are the writers. America is back: Happy Independence Day!